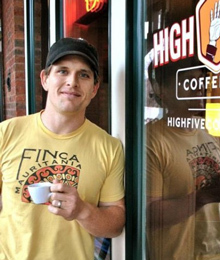 High Five Coffee has three coffee bars in Asheville, NC. 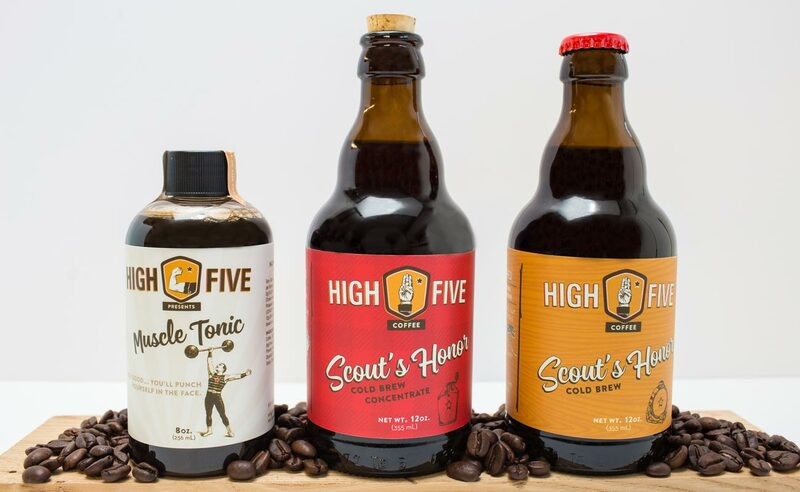 As an extension of its brand, owner Jay Weatherly crafts a mean cold brew coffee and wanted to share his take on this popular coffee drink with a product line of cold brews. 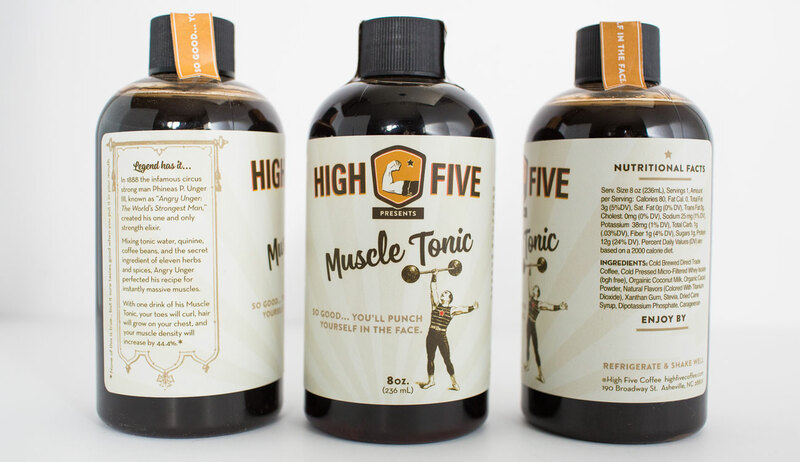 Jay wanted something creative and thematic that he could extend across additional product offerings. 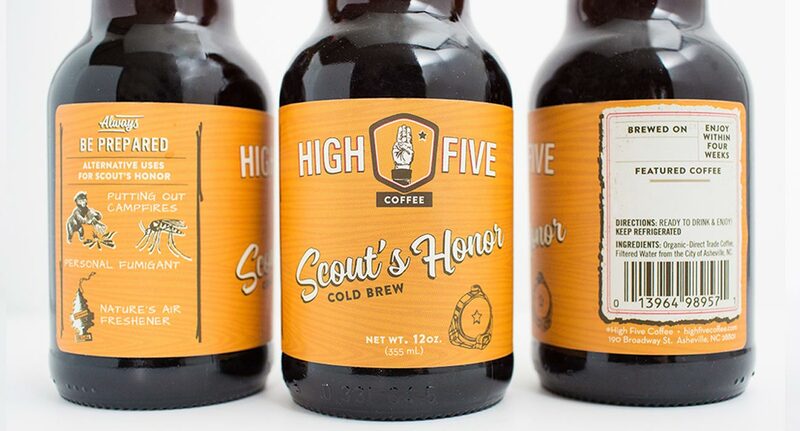 We worked with High Five Coffee to develop three label designs that reflect the theme and name of each product with the artwork in each logo shield changing to reflect the packaging design. 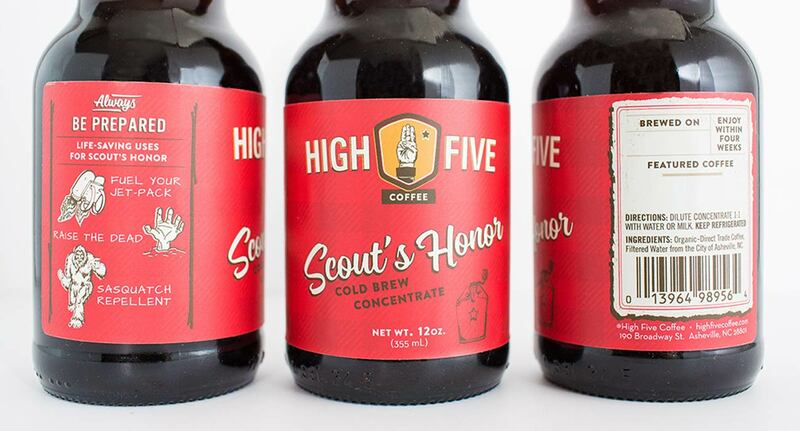 The Scout’s Honor displays the campy nostalgia for the 1970s. 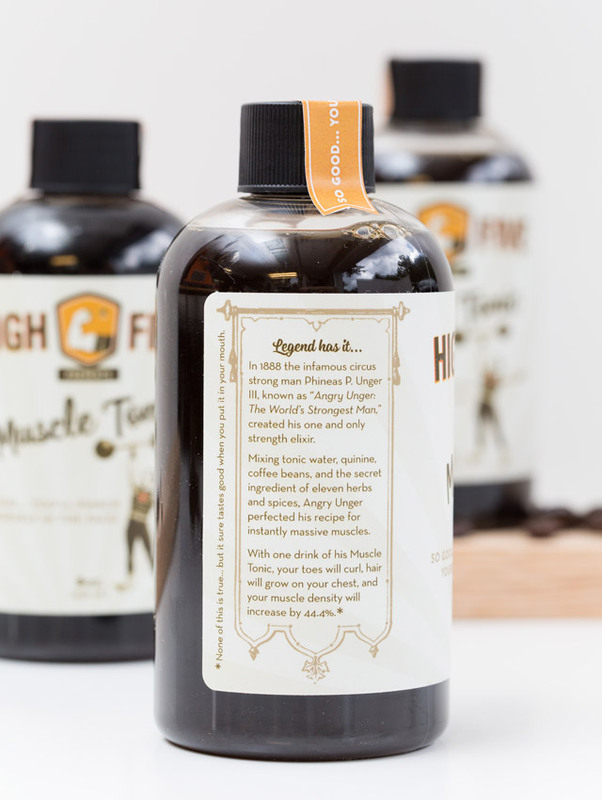 The Muscle Tonic is an alternative coffee protein drink with a serious story. 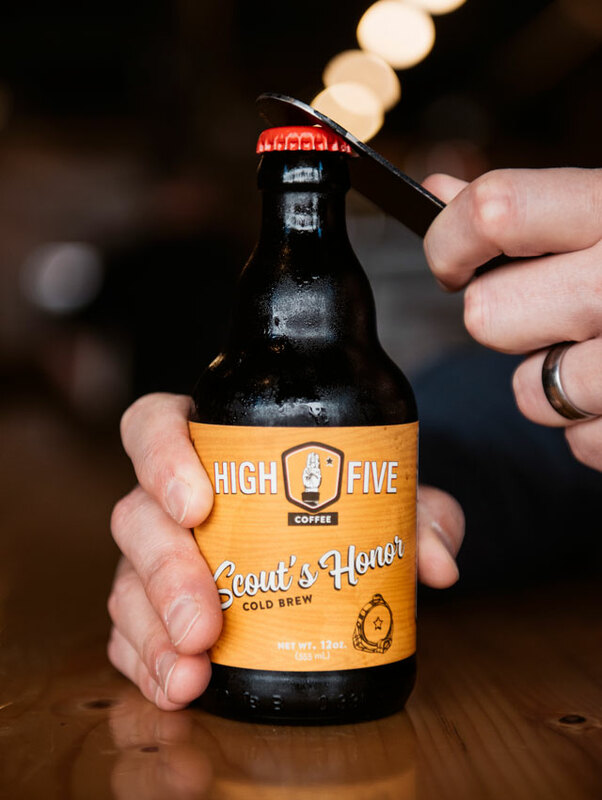 The cold brews can be found in High Five’s retail locations in Asheville, as well as several speciality markets around town. 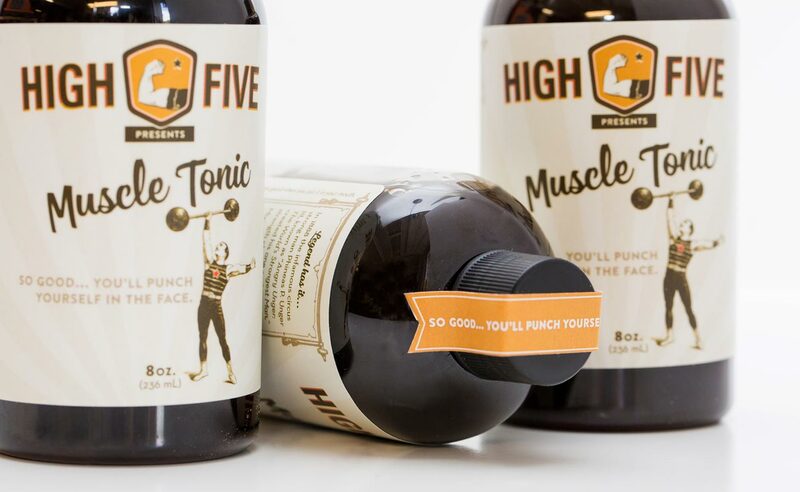 ​‌“Working with Atlas was a crucial part of putting a process to the daunting task of re-branding. They did an amazing job of extracting the essence and character of what I wanted to communicate in the new branding. 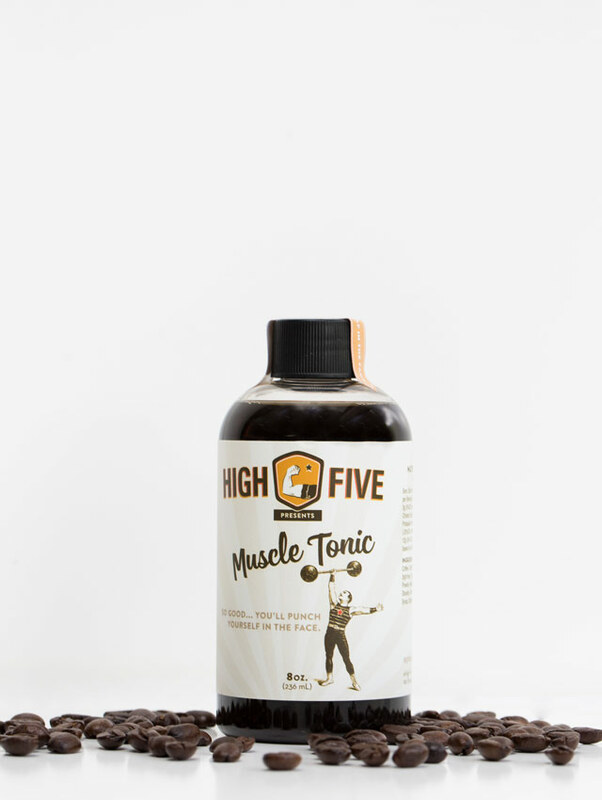 They were responsive and flexible to my ideas, but gave strong direction for me to follow, which is precisely what I needed."